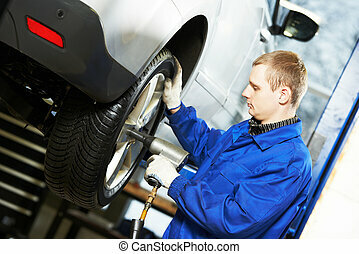 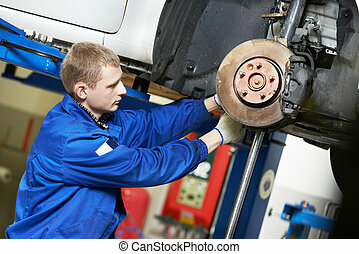 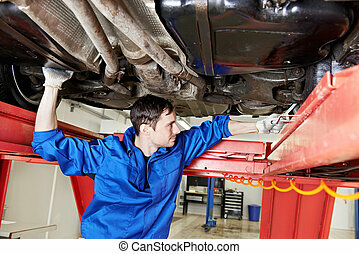 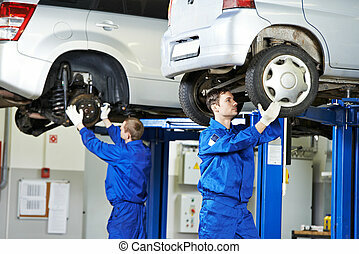 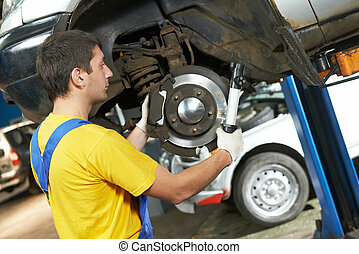 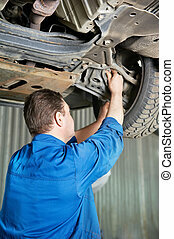 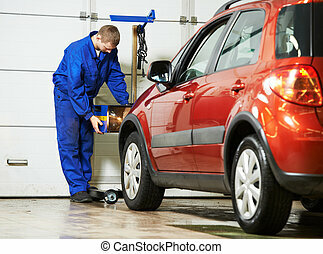 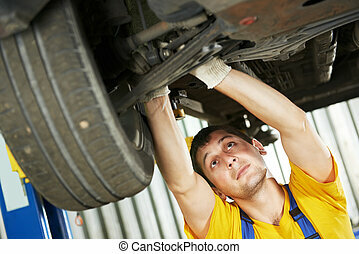 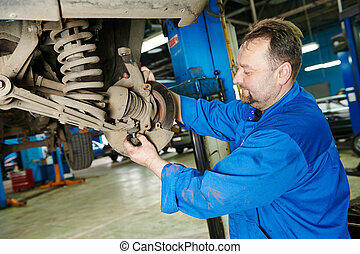 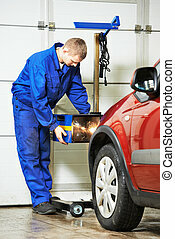 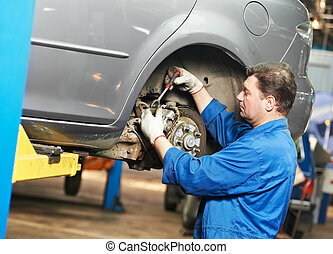 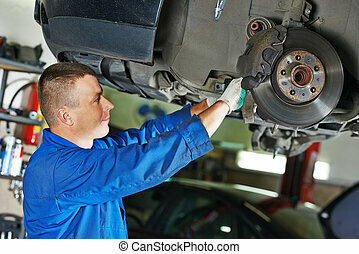 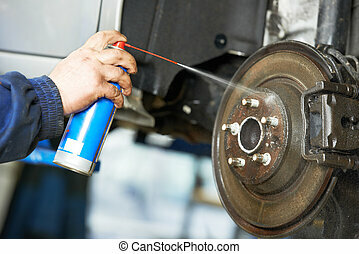 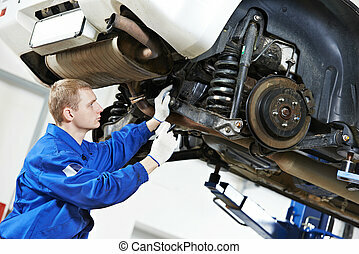 Auto mechanic at car suspension repair work. 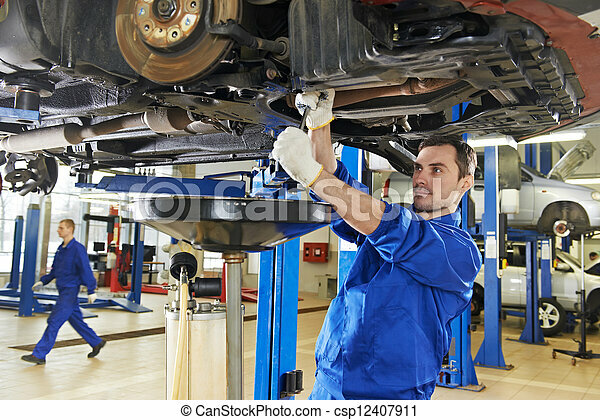 Car mechanic with spanner tighten car suspension detail of lifted automobile at repair service station. 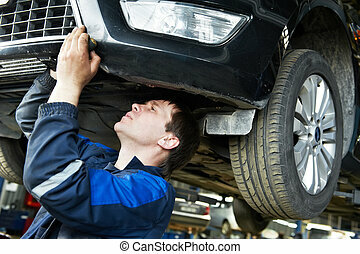 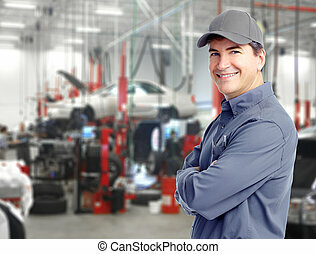 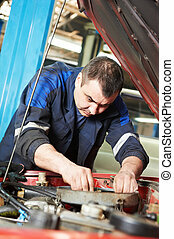 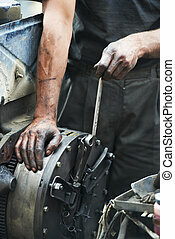 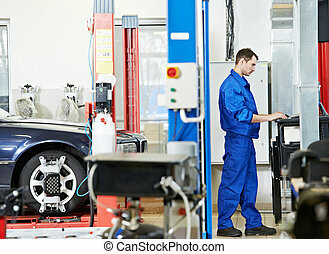 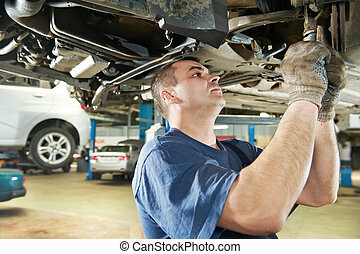 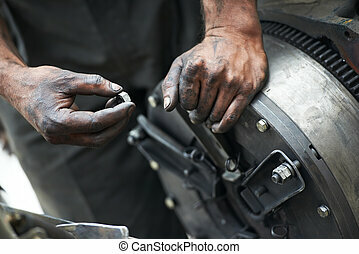 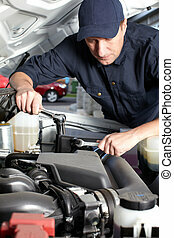 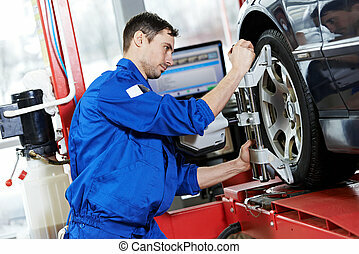 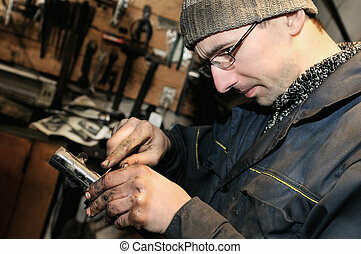 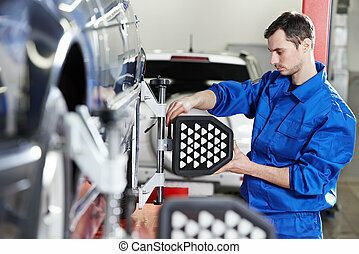 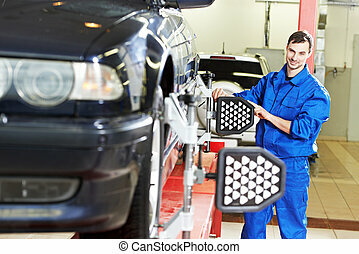 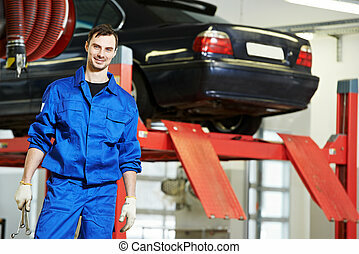 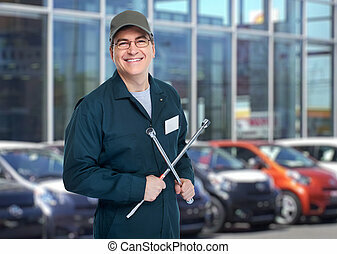 Car mechanic working in auto repair shop. 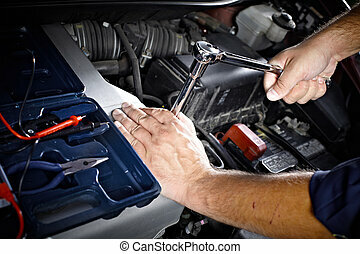 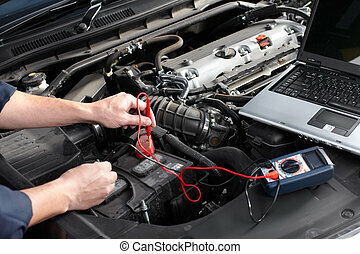 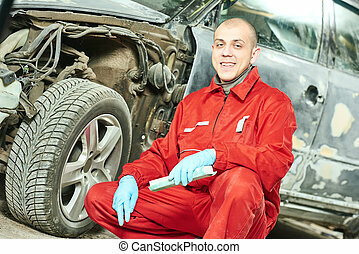 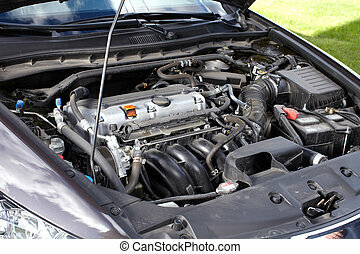 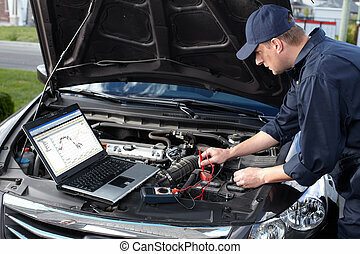 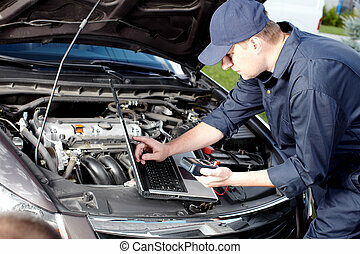 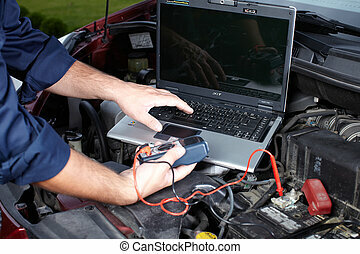 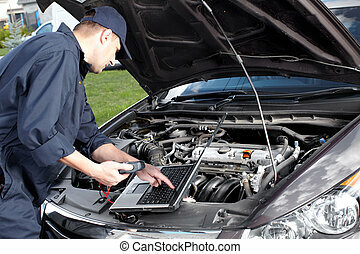 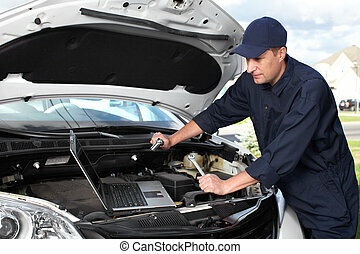 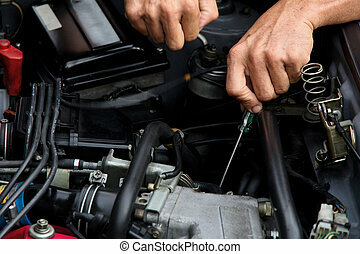 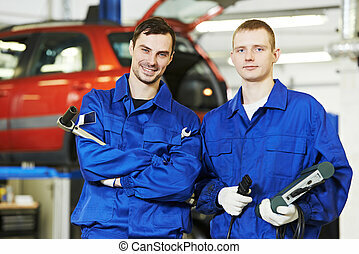 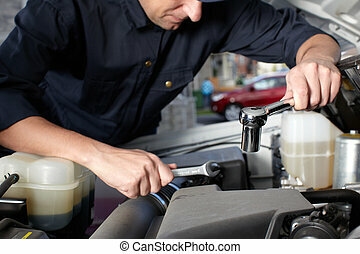 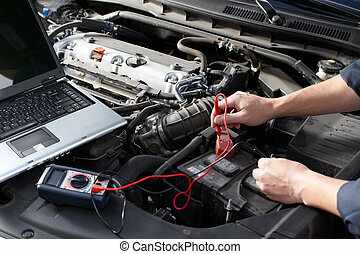 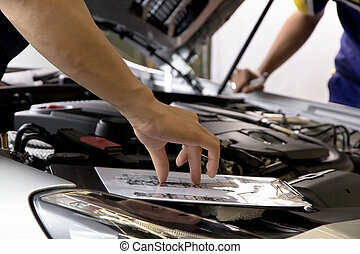 Auto repair service. 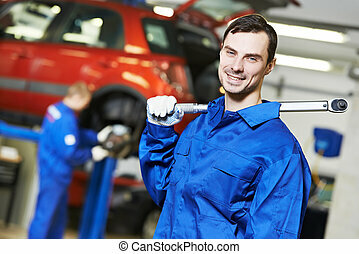 Handsome smiling mechanic.